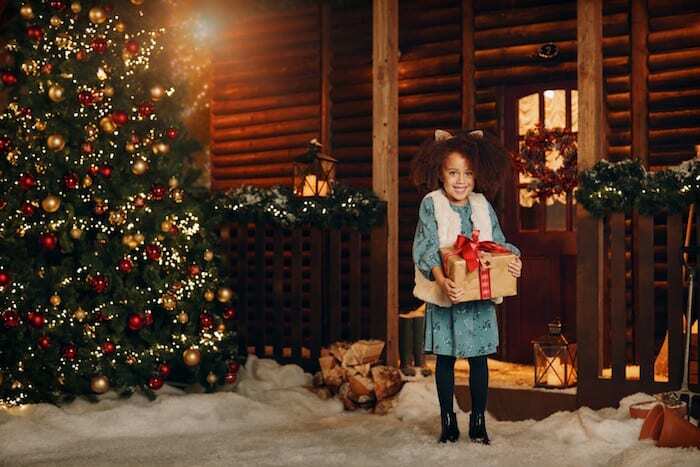 From markets brimming with local produce, to a festive Snowman sculpture trail and storytelling at Claus’ Christmas cabin, there are so many reasons to visit the Lowry Outlet this Christmas. We’ve put together a list of our top five festive attractions – all taking place at MediaCityUK in the run-up to Christmas – to get you into the Christmas spirit. 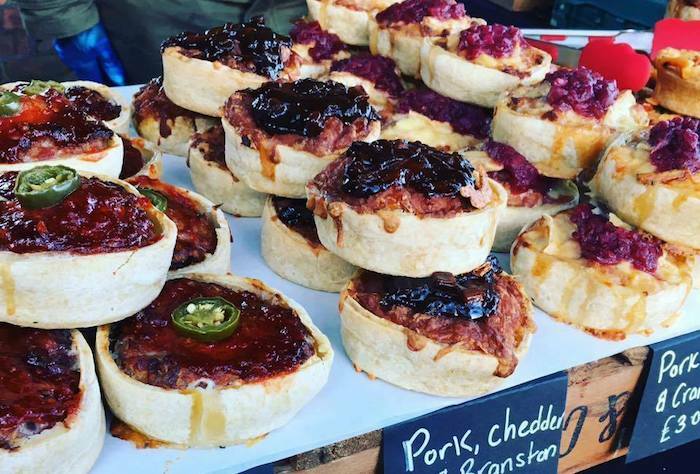 Foodies searching for that extra special addition to their festive menu will be delighted with the array of artisan food producers who will be selling some fabulous regional cheeses, breads and delicatessen goodies. 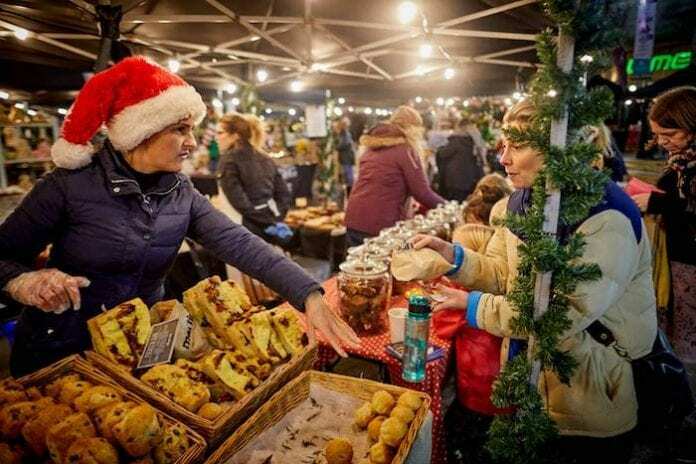 For a slice of seasonal shopping that you won’t find on the high street, the Christmas Makers Markets also offer some great alternative present options, bringing together some of the finest arts and crafts producers across the north west. 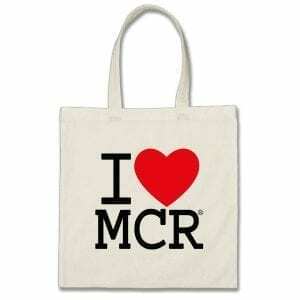 There will also be a host of hot food stalls and street entertainers for that bit of extra seasonal sparkle. The markets will be open November 22-25th, and every Saturday and Sunday leading up to Christmas in December between 10am-7pm, Thursday-Saturday and 10am-5pm on Sundays. Let your little ones’ imaginations run wild as they step into the magical Claus’ Christmas Cabin to meet the man himself. They can visit the reindeer stables before entering his cabin where they’ll hear stories from Mrs Claus before meeting Father Christmas and receiving a special toy to take home. Ideal for children aged between one and nine, entry is £8 per child and free for accompanying adults. Open from 22nd November to 24th December. Don’t miss out. To mark the 40th birthday of the Raymond Briggs’ picture book, the Lowry Outlet is taking part in the Walking with the Snowman public art trail. 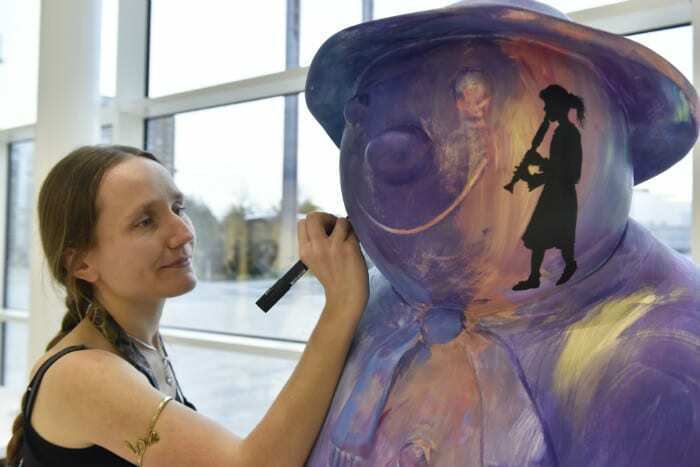 Artists have designed a dozen giant snowmen sculptures on the theme of the 12 Days of Christmas which will be on display around MediaCityUK from November 22nd to January 6th. 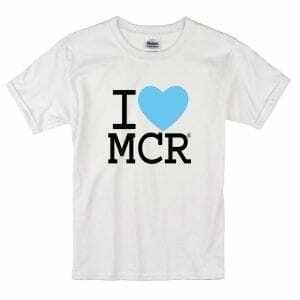 They will then be auctioned off to raise funds for BBC Children in Need. The Outlet will be hosting a large sculpture plus several smaller snowmen created by local school children, youth groups and other community organisations. 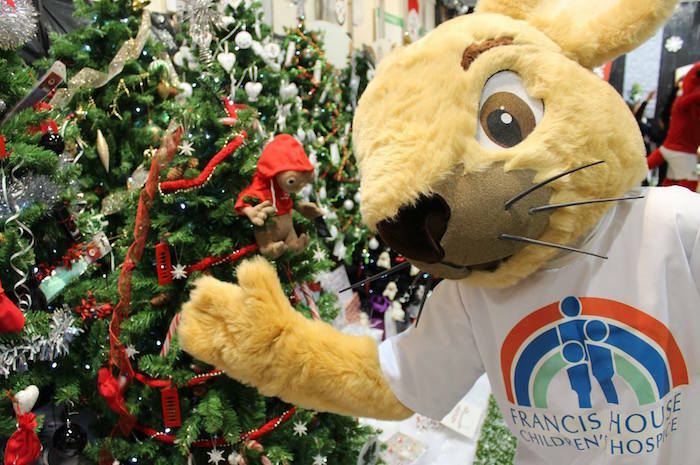 From October 27th until December 9th decorated Christmas trees from organisations including Manchester United Football Club and Lancashire County Cricket Club will be on display at the Lowry Outlet. You can bid to win your favourite design to take home in time for Christmas with all profits going to Francis House Children’s Hospice. Last year the auction raised over £32,000 for the hospice which helps 350 sick children across Greater Manchester every year. 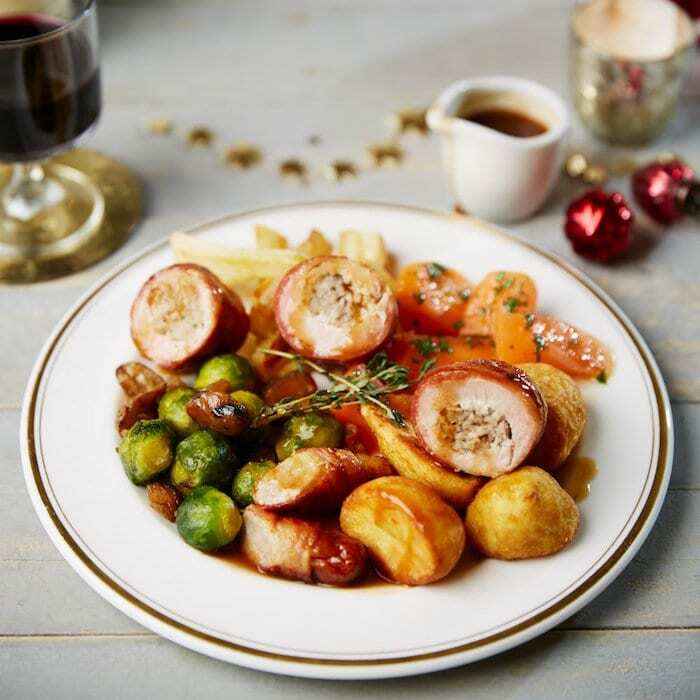 From classic French food to the traditional turkey dinner, there’s something for everyone at the Lowry Outlet this Christmas time. Dining options are well priced across the board and include a set seasonal menu at Cafe Rouge, snowball cinnamon doughballs, pigs in blankets and La Festiva turkey pizza at Pizza Express, a three-course festive menu at Lime Bar, a two-course Christmas dinner the Italian way at Bella Italia, or, for those who don’t fancy a turkey dinner, a Chinese feast at Real China Buffet.